The Precellys lysing kits offer the best versatility of volumes and grinding material to address any type of samples: human, animal, plants, microorganisms, soil, etc. Their DNase/RNase free certification guarantees the best quality and quantity of nucleic acids extractions after grinding. Protein safe tubes are now available with two matrix (CK14 and CK28-R) in the 2mL version. They preserve the protein from proteases degradation and ensure an intact quality of the sample. – 4 different grinding materials are available: ceramic, glass, stainless steel, garnet in different sizes. 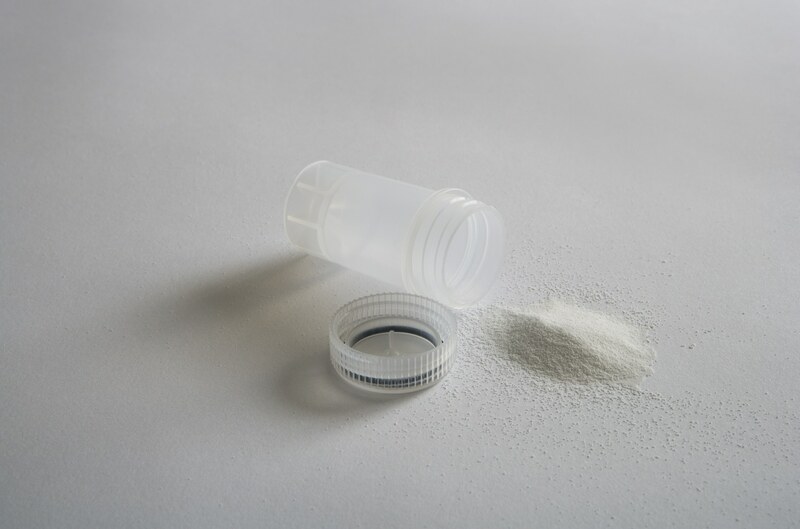 For particularly difficult samples like hair, seeds or bones which require high-speed grinding, Precellys also proposes reinforced tubes resistant to the maximum energy level that Precellys equipment can provide. Includes 50 preps of 1.4mm ceramic (zirconium oxide) beads and Protein Safe solution in 2mL standard tubes. CK14 Protein Safe 2mL is designed for soft tissue homogenization while ensuring inhibition of endogenous proteases activity. Sample size range from 20mg to 200mg tissue or 200µL to 1.6mL culture. Includes 50 preps of 1.4mm ceramic (zirconium oxide) beads in 0.5mL standard tubes. CK14 0.5mL is designed for soft tissue homogenization like brain, liver, kidney, artery, and more. Sample size range: from 1mg to 20mg tissue or 5µL to 200µL culture. Includes 50 preps of 2.8mm ceramic (zirconium oxide) beads in 2mL standard tubes. CK28 is designed for hard tissue homogenization like ear, lung, heart, spleen, tail, artery, Arabidopsis, leaves and more. Sample size range: from 20mg to 200mg tissue or 200µL to 1.6mL culture. Includes 50 preps of 1.4mm ceramic (zirconium oxide) beads in 2mL standard tubes. CK14 is designed for soft tissue homogenization like brain, liver, kidney, skin, plant leaves, mammalian cells and more. Sample size range: from 20mg to 200mg tissue or 200µL to 1.6mL culture. Now available with Protein safe tubes option! Includes 50 preps of 2.8mm ceramic (zirconium oxide) beads in 2mL reinforced tubes. Custom design reinforced tubes for bead beating application: O’ring and reinforced materials for dry grinding, valuable or very hard samples. CK28-R is designed for hard tissue homogenization like ear, lung, heart, spleen, tail, cornea, artery, Arabidopsis, leaves, tumor, intestine, adipose tissue and more. Sample size range: from 20mg to 200mg tissue or 200µL to 1.6mL culture. 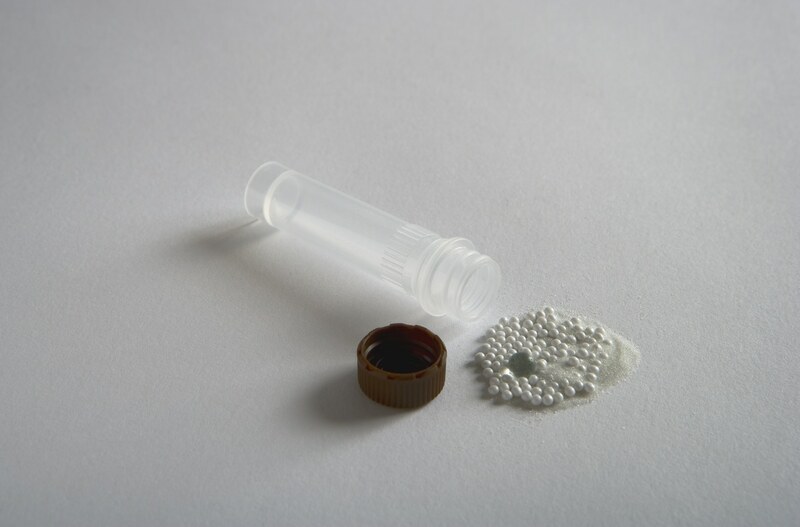 Includes 50 preps of ceramic (zirconium oxide) mix beads of 1.4mm and 2.8mm in 2mL standard tubes. CKMix is designed for tissue homogenization like brain, liver, kidney, ear, lung, heart, spleen, tail, artery, Arabidopsis, leaves, tumor, intestine, adipose tissue and more. Sample size range: from 20mg to 200mg tissue or 200µL to 1.6mL culture. Includes 50 preps of 1.4mm ceramic (zirconium oxide) beads in 0.5mL standard tubes. CK14 0.5mL is designed for soft tissue homogenization like brain, liver, kidney, artery, and more. Sample size range: from 1mg to 20mg tissue or 5µL to 200µL culture. Cat. No. : KT03961-1-203.05 Includes 50 preps of 2.8mm ceramic (zirconium oxide) beads in 7mL standard tubes with O-ring. CK28 7mL is designed for tissue homogenization like whole rat brain, whole liver, kidney, spleen, leaves and more. Sample size range: from 200mg to 2g tissue or 200µL to 6mL culture. Includes 50 preps of 1.4mm ceramic (zirconium oxide) beads in 7mL standard tubes with O-ring. CK14 7mL is designed for soft tissue homogenization like rat cerebellum, skin and more. Sample size range: from 200mg to 2g tissue or 200µL to 6mL culture. Includes 25 preps of 2.8mm ceramic (zirconium oxide) beads in 15mL standard tubes. CK28 is designed for hard tissue homogenization like ear, lung, heart, spleen, tail, artery, Arabidopsis, leaves and more. Sample size range: from 400mg to 4g tissue or 400µL to 9mL culture. Tissue homogenizing CKMix_96 Well-plate – Certified DNase/RNase free. 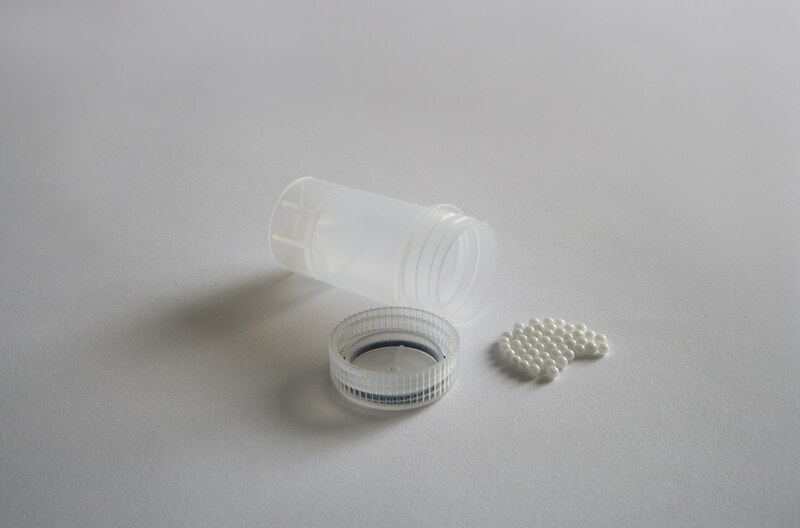 Includes one breakable 96 well-plate (96 x 300µL) containing a mix of 1.4 mm and 2.8mm ceramic (zirconium oxide) beads in each well + 12 caps strips. CKMix is designed for tissue homogenization like: mouse/rat tails, plants and small pieces of organs like: brain, liver, kidney, ear, lung, heart, spleen, artery, Arabidopsis, leaves, tumor, intestine, adipose tissue and more. Sample size range: from 0.6mg to 12mg tissue or 3µL to 120µL culture. Includes 50 preps of 2.8mm ceramic (zirconium oxide) beads and Protein Safe solution in 2mL reinforced tubes. CK28-R 2mL Protein Safe reinforced tubes include O’ring and reinforced materials for dry grinding, valuable or very hard samples while ensuring inhibition of endogenous proteases activity . Sample size range: from 20mg to 200mg tissue or 200µL to 1.6mL culture. Includes 50 preps of 2.8mm stainless steel beads in 2mL standard tubes. MK28 is designed for hard tissue grinding like muscle, skin, spinal cord, bone, teeth, hair, seeds, corn, rice and more. Sample size range: from 20mg to 200mg tissue or 200µL to 1.6mL culture. 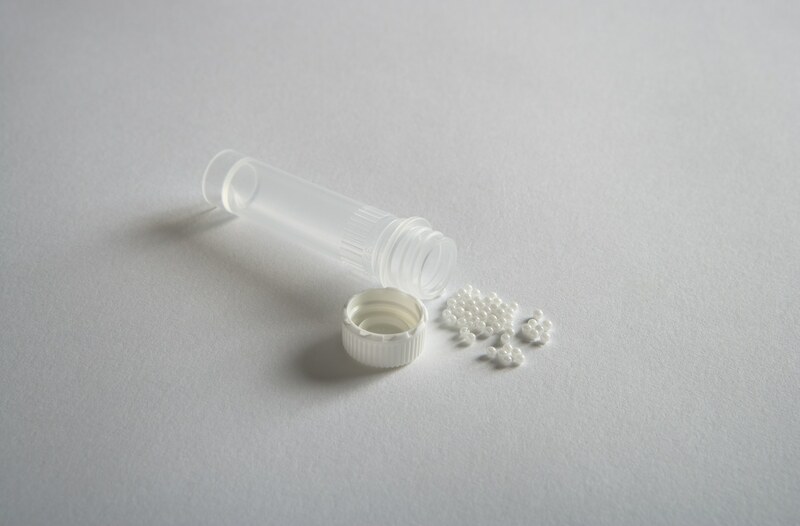 Includes 50 preps of a mix of glass and ceramic (zirconium oxide) beads in 2mL standard tubes. 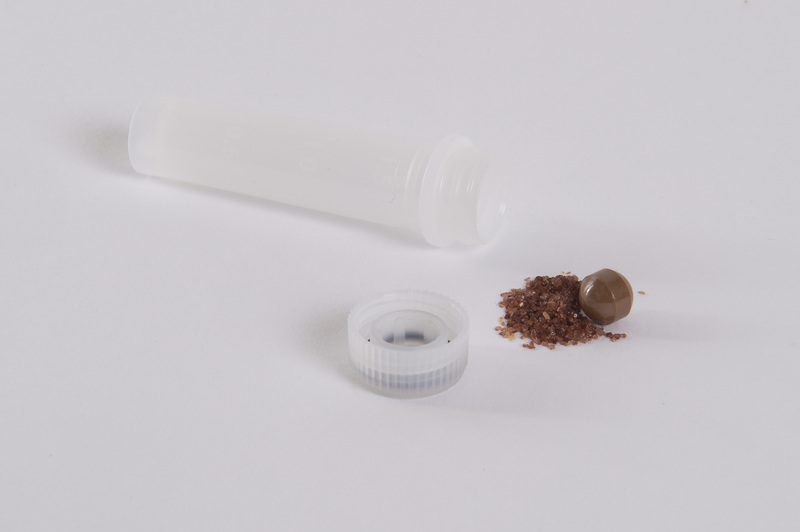 SK38 is designed for micro-organism lysing included in samples like soil, sediment, roots, faeces, animal or plant tissues and more. Sample size range: from 20mg to 200mg tissue or 200µL to 1.6mL culture. Includes 50 preps of 2.8mm stainless steel beads in 2mL reinforced tubes. Custom design reinforced tubes for bead beating application: O’ring and reinforced materials for dry grinding, valuable or very hard samples. MK28-R is designed for hard tissue grinding like muscle, skin, spinal cord, bone, teeth, hair, seeds, corn, rice and more. Sample size range: from 20mg to 200mg tissue or 200µL to 1.6mL culture. Includes 50 preps of ceramic (zirconium oxide) mix beads of 2.8mm and 5.0mm in 2mL reinforced tubes. Custom design reinforced tubes for bead beating application: O’ring and reinforced materials for dry grinding, valuable or very hard samples. CKMix50-R is designed for wet or dry tissue grinding like hair, whole piece of mouse lung, heart or dry hair, mouse bones and more. Sample size range: from 20mg to 200mg tissue or 200µL to 1.6mL culture. Includes 50 preps of ceramic (zirconium oxide) beads of 6.8mm in 2mL reinforced tubes. Custom design reinforced tubes for bead beating application: O’ring and reinforced materials for dry grinding, valuable or very hard samples. CK68-R is designed for dry samples grinding like rice grains, pepper grains and more. Sample size range: from 20mg to 200mg tissue or 200µL to 1.6mL culture. Includes 50 preps of garnet flakes 0.7mm and one ceramic (Zirconium Oxide, Ceria stabilized) in 2mL reinforced tubes. GK60 is designed for elastic tissues like skin, cartilage, retina and also general tissues like liver, plants and more. Sample size range: from 20mg to 200mg tissue or 200µL to 1.6mL culture. 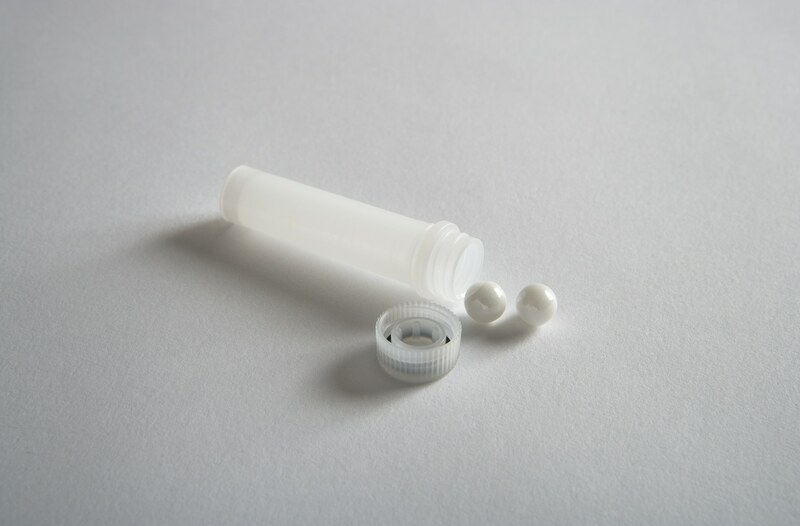 Includes 50 preps of a mix of ceramic (zirconium oxide) and glass beads in 7mL standard tubes with O-ring. SK38_7mL is designed for micro-organism lysing included in samples like soil, sediment, root, faeces, animal or plant tissues and more. Sample size range: from 200mg to 2g tissue or 200µL to 6mL culture. 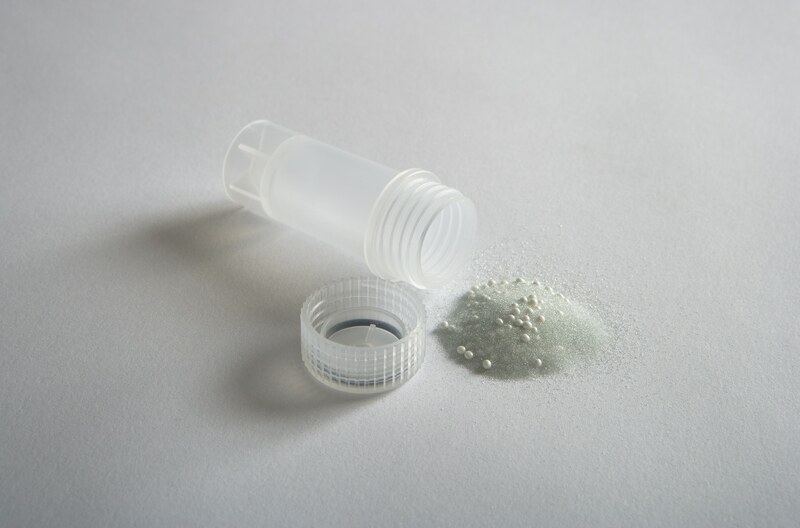 Includes 50 preps of a mix of ceramic (zirconium oxide) mix beads of 2.8mm and 5.0mm in 7mL standard tubes with O-ring. CKMix50 7mL is designed for grinding whole organs like rat brain, liver, kidney, skin, whole iris-ciliary body pork and dry samples as pepper grains and more. Sample size range: from 200mg to 2g tissue or 200µL to 6mL culture. 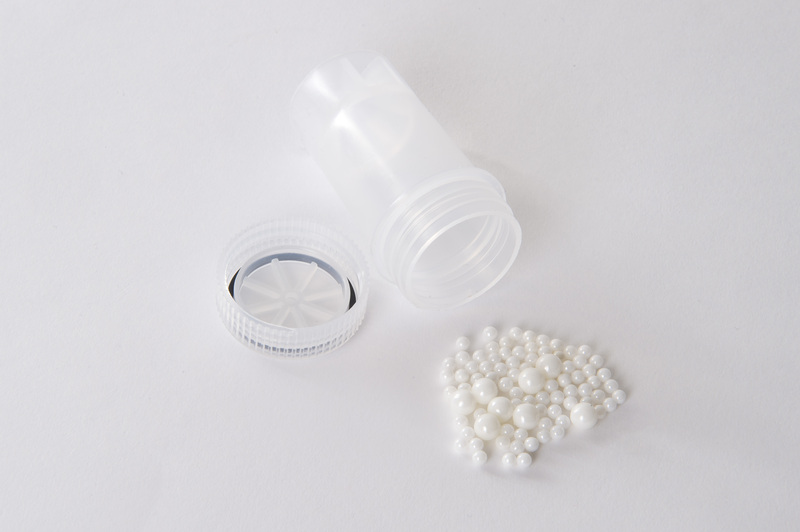 Includes 25 preps of ceramic (zirconium oxide) beads of 6.8mm in 15mL standard tubes. 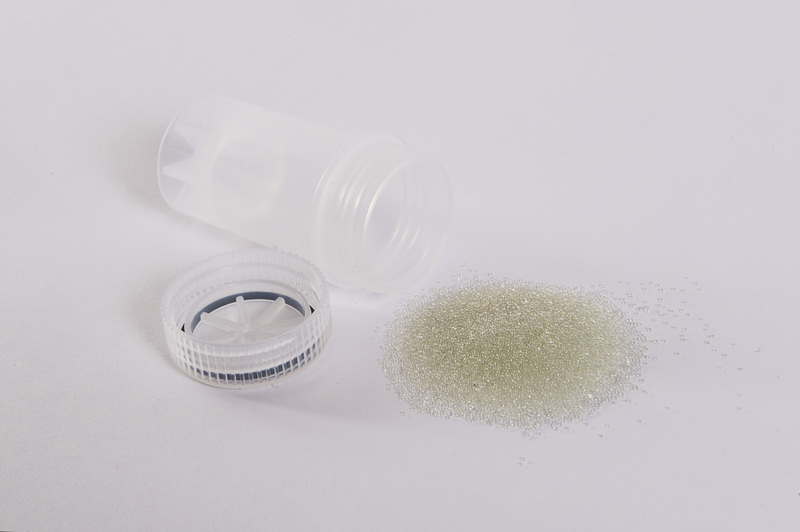 CK68 is designed for dry samples grinding like rice grains, pepper grains and more. Sample size range: from 400mg to 4g tissue or 400µL to 9mL culture. 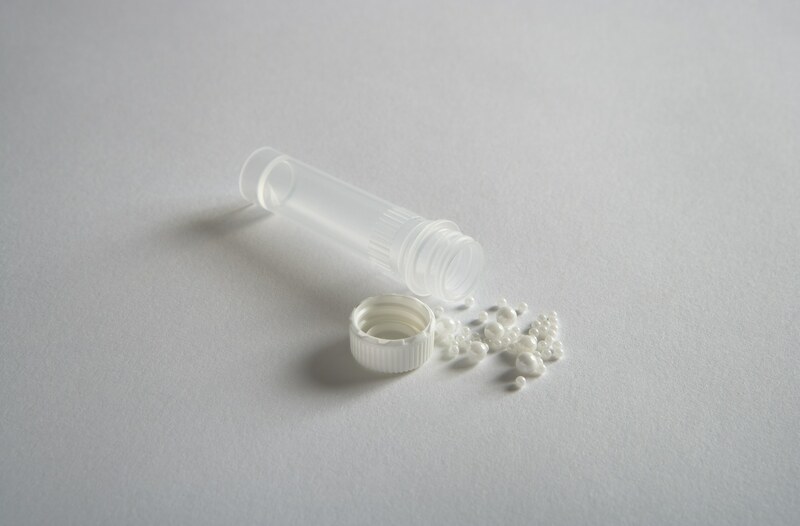 Includes 25 preps of a mix of ceramic (zirconium oxide) beads of 2.8mm and 5.0mm in 15mL standard tubes with O-ring. CKMix50_15mL is designed for grinding whole organs like rat brain, liver, kidney, skin, whole iris-ciliary body pork and dry samples as pepper grains and more. Sample size range: from 400mg to 4g tissue or 400µL to 9mL culture. 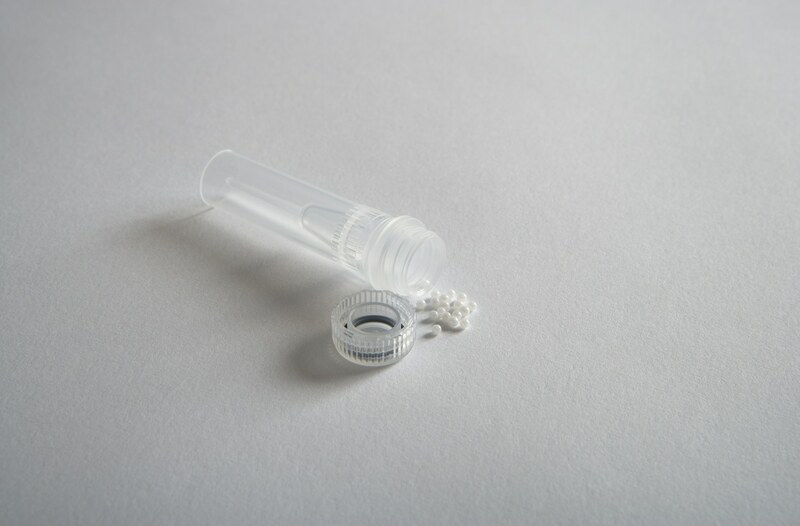 Includes 50 preps of 0.5mm glass beads in 0.5mL standard tubes. VK05 0.5mL is designed for tough micro-organism lysing like yeast, fungi and more. Sample size range: from 1mg to 20mg sample or 5µL to 200µL culture. 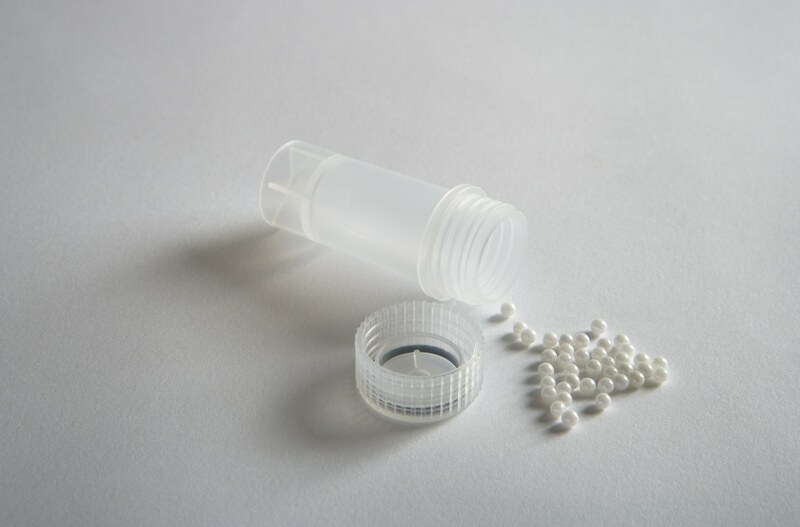 Includes 50 preps of 0.5mm glass beads in 2mL standard tubes. VK05 is designed for tough micro-organism lysing like yeast, fungi, cyanobacteria, phytoplankton, nematode, spores, micro-algae and more. Sample size range: from 20mg to 200mg sample or 200µL to 1.6mL culture. Includes 25 preps of 0.5mm glass beads in 15mL standard tubes. VK05 is designed for tough micro-organism lysing like yeast, fungi, cyanobacteria, phytoplankton, nematode, spores, micro-algae and more. Sample size range: from 400mg to 4g sample or 400µL to 9mL culture. 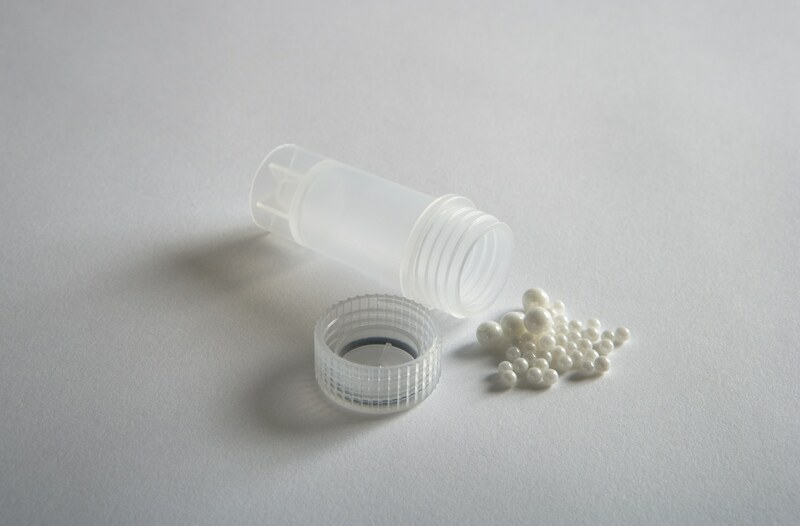 Includes 50 preps of 0.1mm glass beads in 2mL standard tubes. VK01 is designed for micro-organism lysing like gram-, gram+ bacteria, spores and more. Sample size range: from 20mg to 200mg sample or 200µL to 1.6mL culture. Includes 50 preps of 0.1mm ceramic (zirconium oxide) beads in 2mL standard tubes. 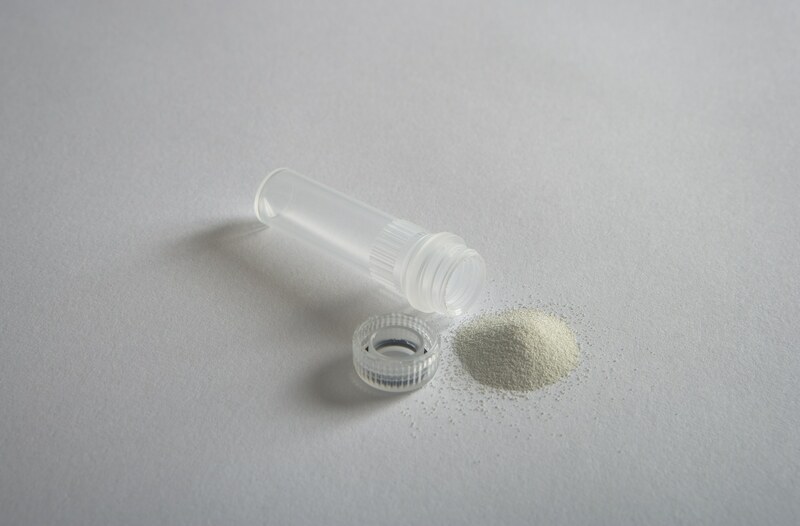 CK01 is designed for micro-organism lysing like, gram+, gram- bacteria, spores and more. Sample size range: from 20mg to 200mg tissue or 200µL to 1.6mL culture. 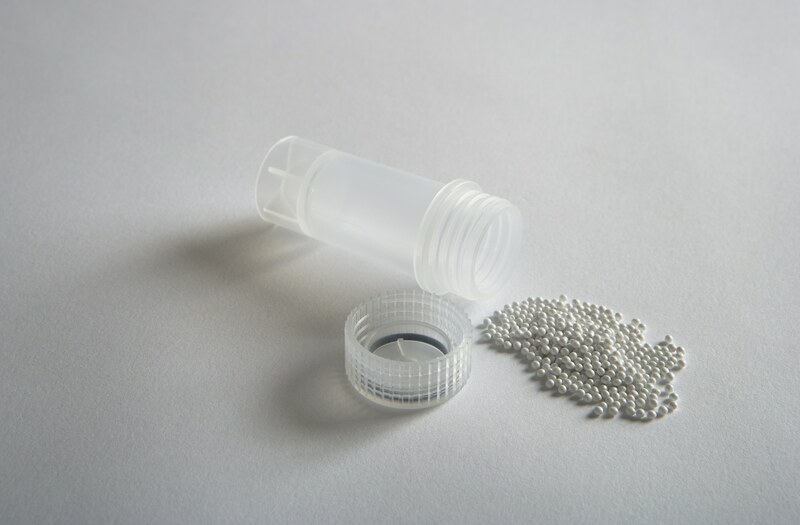 Includes 50 preps of glass mix beads of 0.1mm and 0.5mm in 7mL standard tubes with O-ring. VKMix 7mL is designed for micro-organism lysing like yeast fungi, gram+, gram- bacteria, spores, micro-algae and more. Sample size range: from 200mg to 2g sample or 200µL to 6mL culture. Includes 50 preps of 0.1mm ceramic (zirconium oxide) beads in 7mL standard tubes with O-ring. CK01 7mL is designed for micro-organism lysing like gram+, gram- bacteria, spores and more. Sample size range: from 200mg to 2g sample or 200µL to 6mL culture. Includes 50 preps of a mix of ceramic (zirconium oxide) and glass beads in 7mL standard tubes with O-ring. SK38 7mL is designed for micro-organism lysing included in samples like soil, sediment, root, faeces, animal or plant tissues and more. Sample size range: from 200mg to 2g tissue or 200µL to 6mL culture. 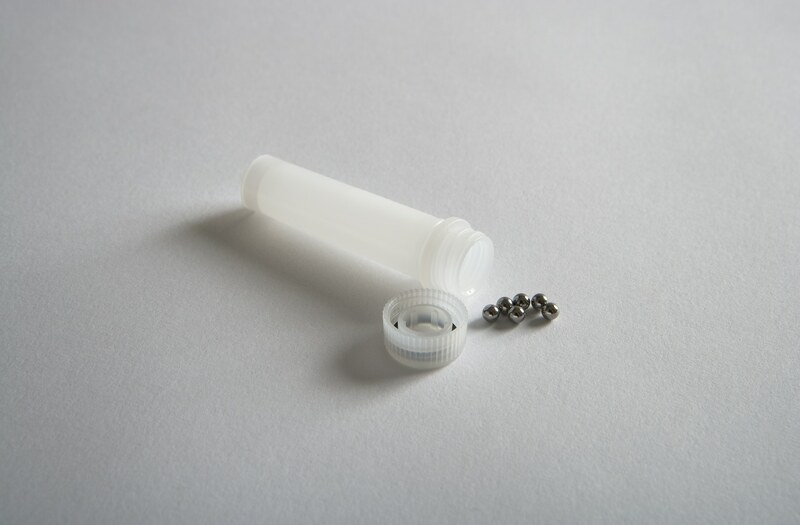 Includes 25 preps of 0.1mm ceramic (zirconium oxide) beads in 15mL standard tubes with O-ring. 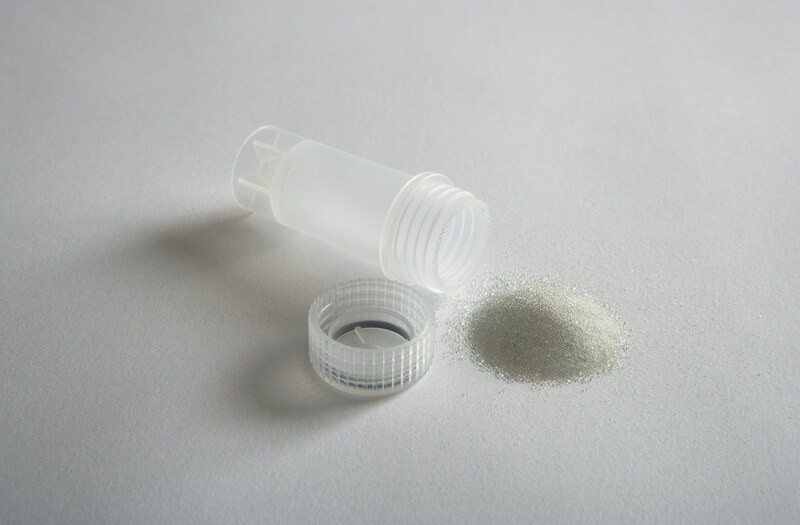 CK01_15mL is designed for micro-organism lysing like gram+, gram- bacteria, spores and more. Sample size range: from 400mg to 4g sample or 400µL to 9mL culture. 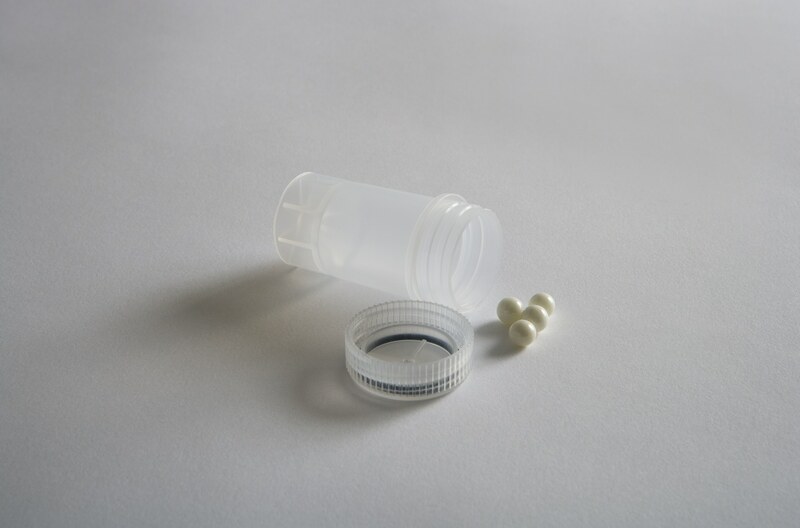 Includes 500 units of 2mL tubes and caps with O-ring, non-assembled. 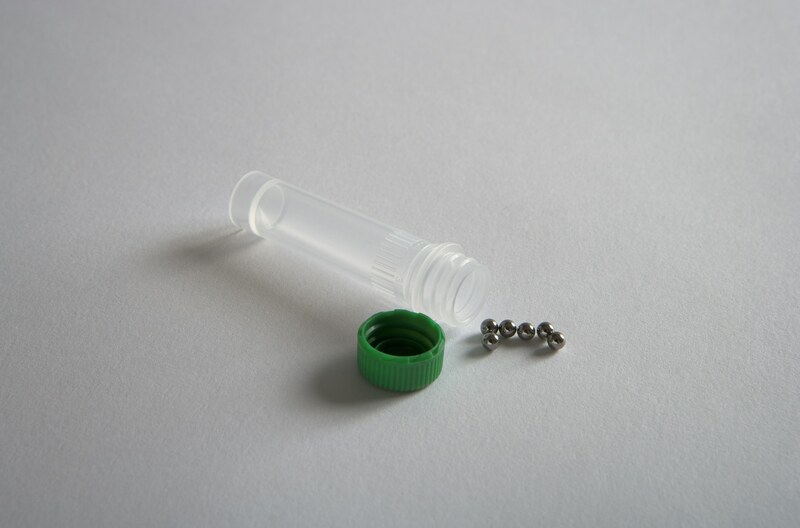 Includes 500 units of 2mL tubes and caps with O-ring, disassembled. 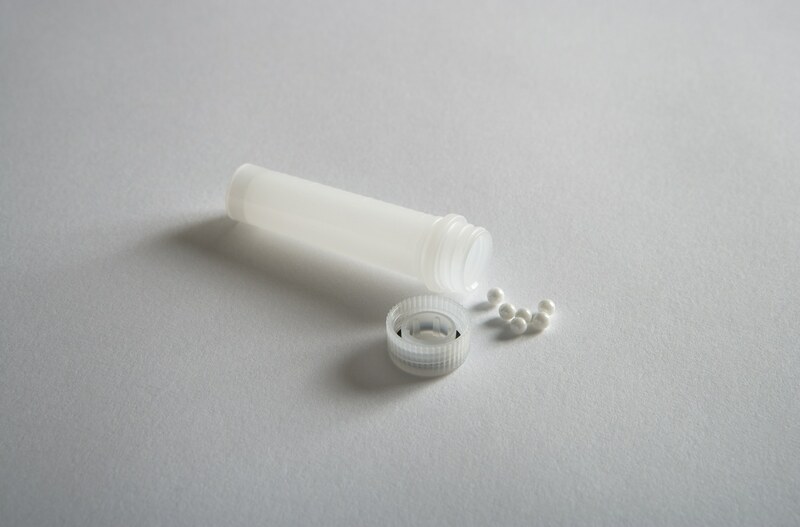 Empty 2mL tubes are designed for 2mL homogenization, grinding and lysing on Precellys Evolution, Precellys24, Minilys and Precellys24-Dual. Beads have to be added. Includes 200 units of 2mL reinforced tubes and caps, assembled. Empty 2mL-Reinforced tubes are designed for 2mL-R homogenization, grinding and lysing on Precellys Evolution, Precellys24, Minilys and Precellys24-Dual. Beads have to be added. Includes 50 units of 7mL tubes and caps, assembled. 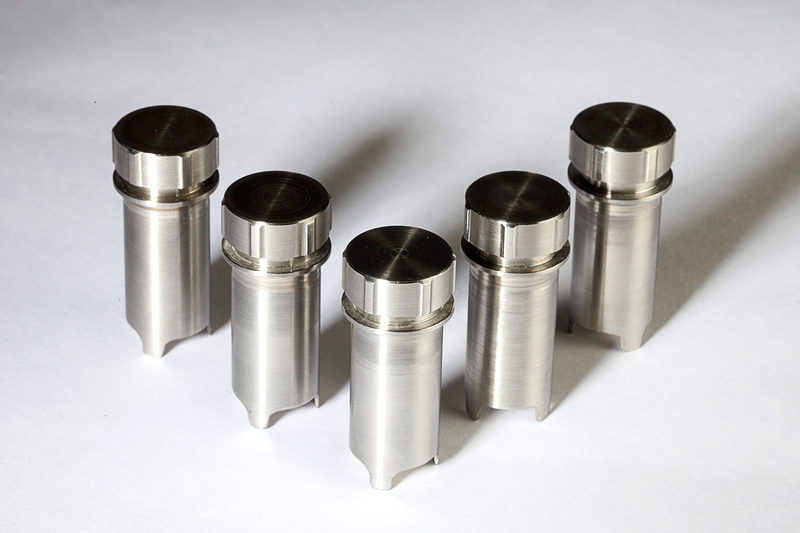 Empty 7mL tubes are designed for 7mL homogenization, grinding and lysing on Precellys 24-Dual. Beads have to be added. Includes 50 units of 15mL tubes and caps, assembled. 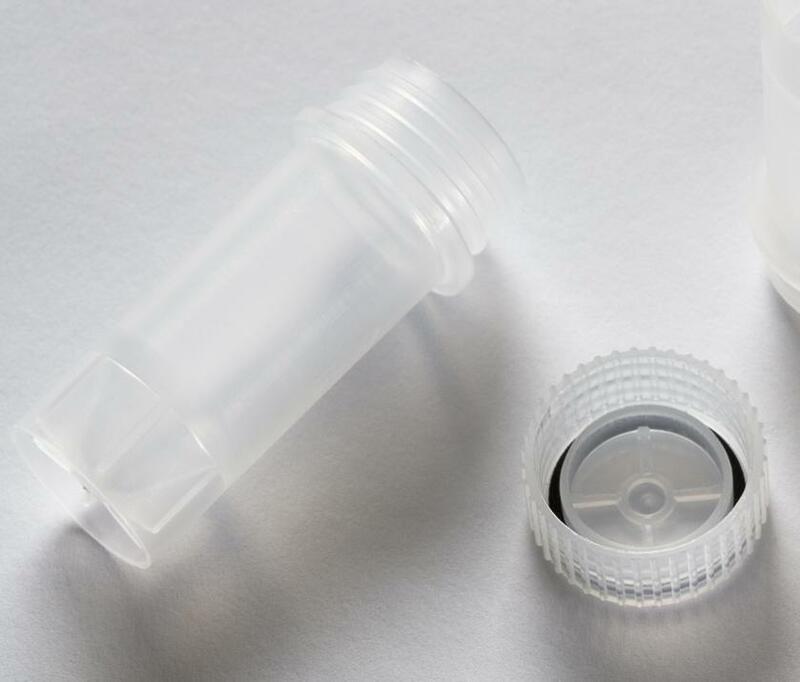 Empty 15mL tubes are designed for 15mL homogenization, grinding and lysing on Precellys Evolution. Beads have to be added. 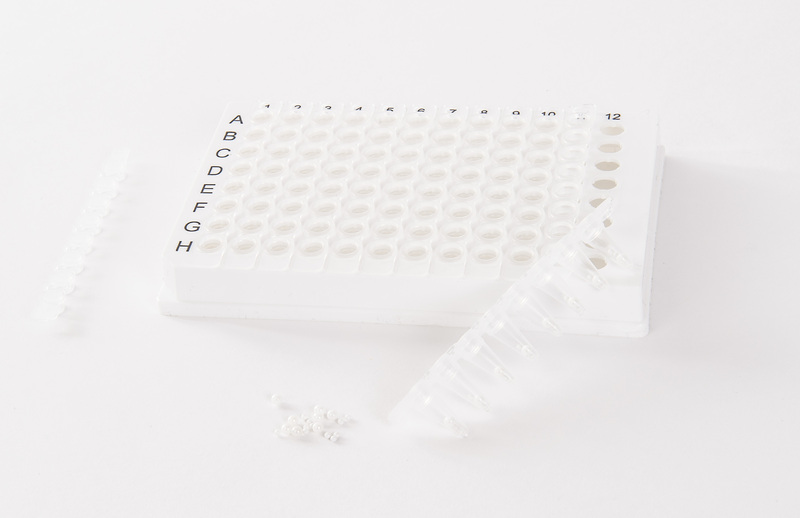 "The specific mix of beads of the SK38 lysing kit is the most convenient to grind efficiently Microorganisms trapped in a complex sample matrix." "For pancreas homogenization, I usually advise the CK-28 matrix. 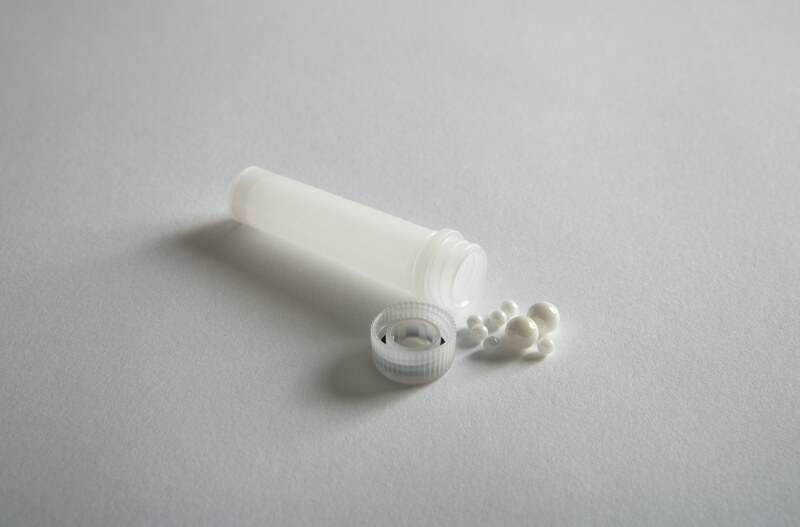 The 7mL and 15ml tubes allow to put the whole mice or rat pancreas in the tube which is very convenient." "The 96WP format is very convenient to perform mice genotyping from tails."